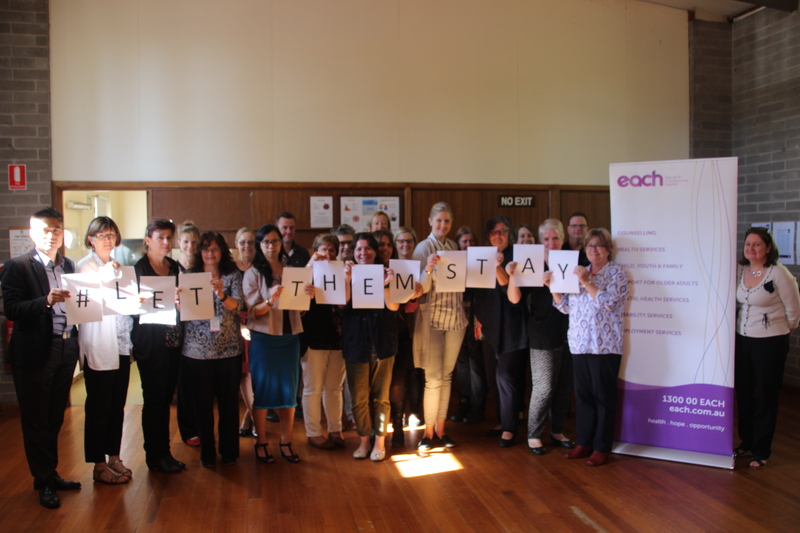 EACH’s Health Promotion Team are excited to introduce the creation of our EACH Refugee & Asylum Seeker Action Group (ERAAG). The Group recently held an introductory professional development session entitled – Changing the Conversation. It was a great chance to hear from our Refugee Health Nurse Coordinator on the excellent work being done at the EACH ‪Refugee‬ Clinic. Our guest speaker from the Asylum Seeker Resource Centre (ASRC) gave expert background to the current refugee/asylum seeker situation, and advice on research that shows our choice of language is the place to start to take action to shift people’s ideas on people seeking ‪asylum‬.